The committee report from the Director of City Development recommended approval. At the Committee, I sought assurances that the Council as developer would ensure that the building works were phased in the manner which would reduce restrictions on public access to the cyclepath and footpath throughout the contract period. In particular that access was maintained where practicable via Beach Lane over the footbridge which joins the coastal path just adjacent to western end of the final section of the raised section of the coastal walkway that remains to be upgraded. I emphasised the value of this existing right of way to walkers and cyclists using National Cycling Route 1 and this section of the Dundee Green Circular whether for fun, fitness or commuting. I also requested clear signage for the diversionary routes that would need to be in place for cyclists and pedestrians. I was pleased to receive a comprehensive reassurance from the Director of City Development, Mike Galloway, that maintaining access to the remaining section of the coastal pathway during the upgrading works and signalling diversionary routes would be undertaken. Notwithstanding these temporary difficulties, I also emphasised that we should not lose sight of the prize of an upgraded coastal pathway all they way between the Stannergate and Douglas Terrace which should enhance the experience of walking and cycling along the river safely segregated from motorised road traffic. This pathway and the southerly views it affords over the river to Tayport and Tentsmuir Forest and to the East towards Douglas Terrace and Broughty Castle is one of the veritable jewels in the Broughty Ferry Crown. 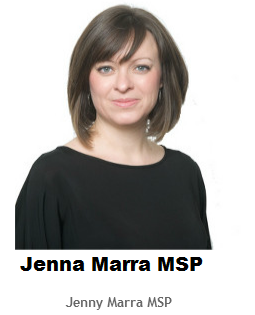 I also said that I trusted that this planning permission would trigger the subsequent contract to undertake the construction work and that I hoped to see the upgraded coastal pathway completed and open to mark the centenary of the annexation of Broughty Ferry in 2013.